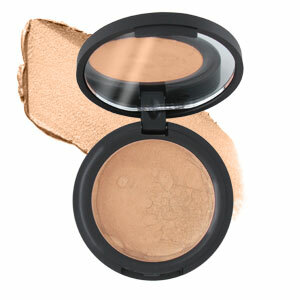 This glorious little compact will have you bronzed and beautiful at just the touch of a finger tip. 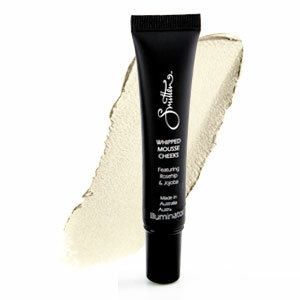 It contains light-reflecting bronzing pigments that will suit a wide variety of skin tones. Smitten’s Midas Touch Bronzed Gold is a creamy formula to hydrate and moisturise your skin whilst adding that amazing bronzed glow. Luscious ingredients of jojoba oil, Macadamia Butter and Shea Butter will have you glowing on the inside as well! Like all Smitten products it’s full of great ingredients and is multi talented… use on your cheeks, lips and eyelids! Ingredients: Mica, Ricinus, Communis Oil, Jojoba Oil, Cyclopentasiloxane, Cera Alba, Macadamia Butter, Shea Butter, Vit E, Iron Oxides, Titanium Dioxode. How to: Apply bronzer to the areas that the sun would naturally hit. To create a natural sunkissed look. Place your Bronzer just under your cheekbones as shown in the diagram on the website – use on lids and lips for a total Bronzed look! 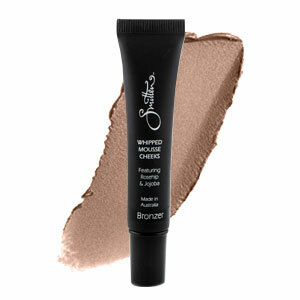 It is best to apply your bronzer in light, even coats to build up color rather than adding a single dark layer at once. Mix with your Complexion Perfection Foundation and brush all over your face for a light bronzed look! Check the bronzer in daylight and make any necessary adjustments.